Oven Spa - Environmentally friendly oven cleaning across South Somerset, West Dorset and East Devon. 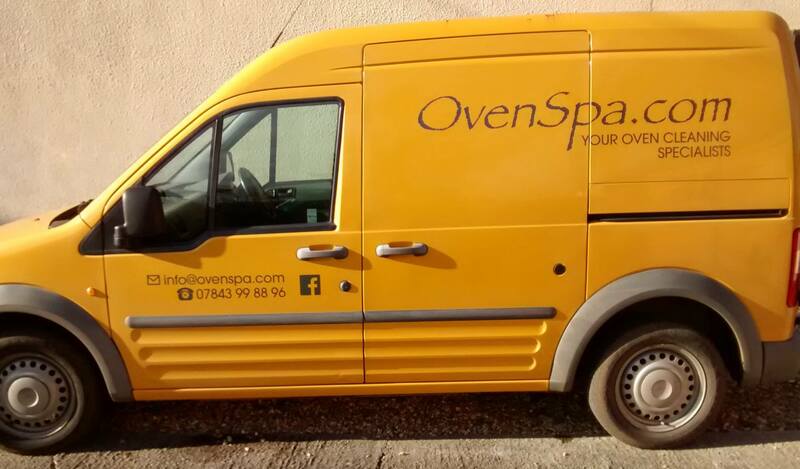 Based just outside of Ilminster, Somerset, and working across South Somerset, East Devon & West Dorset, Ovenspa is an independent, environmentally friendly, oven cleaning service. Established in 2015, we bring the latest advances in oven cleaning technology to your home. Using an electrically heated van-mounted diptank, biodegradable solutions and a lot of elbow grease, we will bring a shine back to your cooker without harming you, your family, your pets or the environment. Unlike many other oven cleaning companies, we do not use any caustic chemicals. As a truly independent business, not a franchise or a branch of a national company, we always make enough time to give your oven the care it needs to bring it back to its best. There is no external pressure to get to another job or to cut any corners. We operate a fixed price policy. There's no need to ask for a quote or to worry that the price given on the phone might not be the price you pay on the day. By choosing OvenSpa you can be sure that your oven will be cleaned to the highest standards with no fuss, no fumes and no stress. We operate all over South Somerset, East Devon & West Dorset (see map). This includes the Ilminster, Chard, Axminster, Honiton, Yeovil, Taunton, Langport and Seaton areas. If you live outside of the area shown on the map we may still be able to come to you, just call 07843 99 88 96 to discuss. AGA, Rayburn, etc, (or anything not included on this list) £20 per hour to include fixed costs, labour and materials. Saturday, Sunday and out of hours appointments are usually available, just ask when you call.